Industrial Mechanical Seals, Size: 18" - 100"
We are engaged in the provision of Non Contact Seal to clients at highly reasonable prices. Owing to our years of industry experience and precise knowledge of this domain, we are offering an outstanding assortment of Industrial PVC Seal. We are pioneers in the field of manufacturing seals..
Camprofile gaskets, ring type joints, Spiralwound Gaskets, Metal Jacketed Gaskets, Joining material, Graphite Gaskets, PTFE steel Lined Gaskets, PTFE sealing tape. We offer 'O' rings of all Kind. 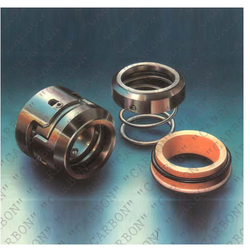 Secondary seals: Buna-N / Neoprene / PTFE / Viton / Silicon etc. 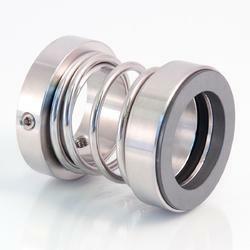 Seal Faces: Ceramic / SiC / Carbon/ TC / Stellite etc. Material: Virgin PTFE, Bronze Filled PTFE, Graphite Filled PTFE, Glass Filled PTFE, Peek, Polyfill Etc.